It’s ironic – when a footballer is just 16 years old and people are already talking about who might be the next to follow in his footsteps – but that’s just how good Martin Odegaard is. The Norwegian international, who is already a Real Madrid first-team player, burst on to the scene last year and his rapid rise to global stardom is showing no signs of slowing any time soon. That might give you some idea as to why Liverpool fans are today celebrating the arrival of his 14-year-old prodigy – Edvard Tagseth – who has today signed a pre-contract agreement on Merseyside. The youngster, whose Twitter page is full of Liverpool related content, is clearly a fan of Brendan Rodgers’ side – a fact which surely must have proved decisive during the inevitable battle for his signature. 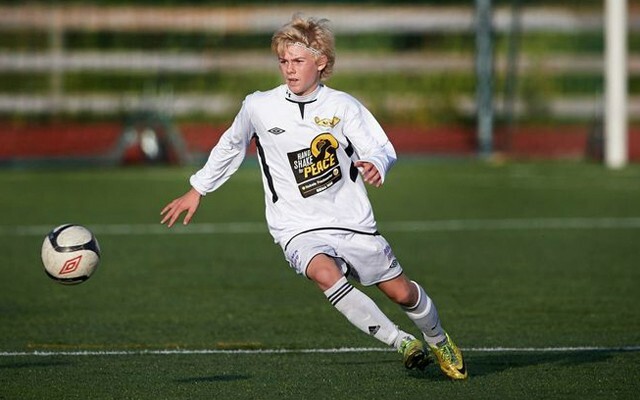 Tagseth, like Odegaard, is from Norway and reports in the local press have also been revelling in the news of his move. Scandinavian broadcaster NRK are among those to have confirmed the move, while they also state that the player turned down Everton – among others – in order to choose us.